Although new orthodontic systems have made treatment with braces much easier than it used to be, there are still some things that you can do to contribute to a positive outcome – it’s not just a matter of sitting back and letting the dentist do all the work. Clear braces will obviously perform the actual tooth movement but you can still make a difference to the way your orthodontic treatment progresses – in both a positive and negative way unfortunately! DO – Wear your brace properly. If you continually remove the brace or wear it incorrectly somehow, this will significantly alter the outcome and could even drag the treatment out much longer than necessary. Some people will develop bad habits, like popping the aligner on and off without thinking about it; this can do a lot of damage because it changes the pressure on the roots constantly, which could cause lasting trauma or root resorption (shortening). DO – Wear your brace all the time. Dentists recommend that a clear aligner is worn for at least twenty-two hours of the day, which obviously includes all through the night as well. Anything less than this and you are looking at an extended treatment time, possible relapse to the original position, and a very frustrated dentist! DO – Get into a routine. The easiest way to get used to a new orthodontic appliance quickly is to fit it into your dental hygiene routine. It’s fairly simple to remember that your brace should be cleaned whenever your teeth are, and the sooner you get used to the few extra minutes cleaning a day, the sooner you will find that it comes as second nature to you. DO – Keep your aligner clean. 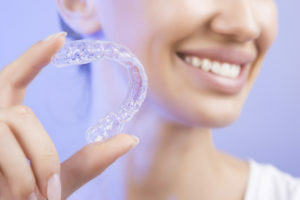 It’s true that the transparent resin is highly durable, but if you allow bacteria to build up along the aligner, this can really affect the health of your teeth – it might even lead to problems like gum disease or gingivitis. All you need to do to keep your braces clean is brush them using a soft-bristled toothbrush, and run them under the tap a couple of times a day just to keep them fresh. You might want to invest in some denture cleaner or mouthwash to make sure the aligner is in the best possible condition, but don’t use toothpaste because some whitening products have harsh abrasives in them that will scratch the surface of the resin and make it appear cloudy – which basically defeats the purpose of making the appliance see through in the first place. DO – Remove the braces at mealtimes. 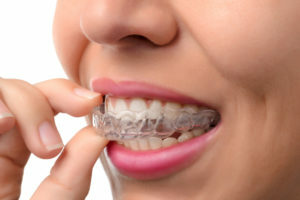 Unless you are undergoing treatment for bite malfunction, you should take the braces out when you are eating; the aligner will cover the entire biting surface, making it hard to bite and tear foodstuffs. It is important that you remember to put the appliance back in as soon as you have finished eating; don’t leave it longer than half an hour to an hour, otherwise there may be some problems with the movement relapse. DON’T – Leave your aligner near extreme temperatures. Although the transparent resin used to create clear braces is a highly durable substance, it is not impervious to harm; if you leave the aligner close to a heat source or inside the freezer for any reason (not that you would think to do that!) 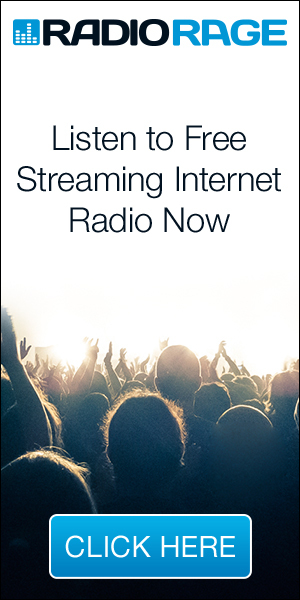 it can do real damage to the resin, causing cracks and fractures to appear. Extra aligners may be included in your treatment package, but it’s best to avoid the need for one in the first place. DON’T – Neglect your teeth. It’s very easy for patients who are undergoing orthodontic treatment to forget about the actual health of their teeth, but it is important to maintain a good level of oral hygiene throughout the course, otherwise you might find you have problems to deal with after you are finished with the braces. Tooth decay and gum disease are both conditions that can easily be avoided with good dental hygiene, and they would certainly make things more complicated in the long-run. You should brush twice a day, floss regularly, and use mouthwash to rinse out those hard to reach areas. DON’T – Avoid your dentist. 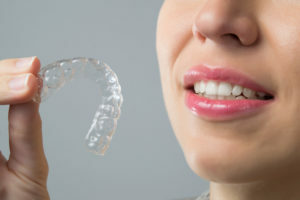 Even if you have been given all the aligners you need to continue treatment at home, you still need to stay in contact with your dentist as often as they deem it necessary; this is so that any signs of dental problems can be identified during the early stages and the right treatment applied. With a typical course of orthodontics, this might be once a month, just to make sure that the right movement is being achieved and there are no problems with the aligners. Many dentists also don’t like to put all the responsibility on the patient with regards to swapping aligners, so they often like to check-in regularly just to be sure that everything is going smoothly. DON’T – Leave your braces lying around. If you leave your aligner next to the sink or on the table during mealtimes, you are likely to find that it gets broken or lost quite quickly. When you are first fitted with the braces, you should be provided with a storage box to hold it when you are not wearing the device – which should only be a couple of hours out of the day. This storage box can really come in handy during mealtimes, and it means no one else has to look at your braces while they are trying to eat! ← Hate Cleaning your Home?